Guigoo has been for a number of years one of the most prominent figures of the hardtek/Raggatek scene. A musician at heart, Guigoo likes to integrate instruments he is playing himself in his productions such as piano or Scratches. 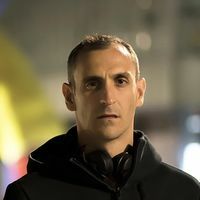 Member of Narkotek Sound System since 2000 and Fant4stik band since 2013, Guigoo likes to explore new sounds and share his music on festivals.